The St. Maria Goretti Sports Ministry is dedicated to ensuring that Christian Spirit governs all relations and environments of SMG parish recreational activities. 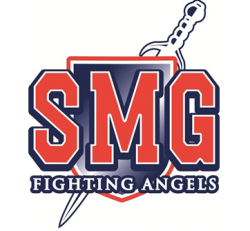 St. Maria Goretti Sports Ministry is a Catholic Sports Ministry serving St. Maria Goretti Parish. The Athletic Department is under the leadership of Pat Biddlecombe and Tina Uhland. It is our hope that young athletes learn the fundamentals of their sports, as well as being positive role models by doing the right thing and treating people right. We are always looking for positive role models for our coaching staff too, so please contact us if you are interested in volunteering.